Exclusive! Show your love of cats! 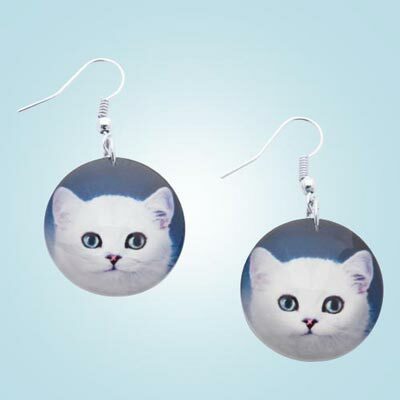 These charming white kitties gaze intently on round silver earrings. French wires. 1¾"l.